It’s February and the season of Lent is just around the corner. For those unfamiliar with this holy season, Lent is a solemn Christian observance that spans 40 days—a period modeled after Jesus’s 40 day fast in the desert where he endured the temptation of Satan. During Lent, many Christians commit to fasting or giving up certain luxuries in order to replicate the sacrifice of Jesus, with one of the most common commitments being to give up the consumption of meat and poultry on Fridays. Lent begins on Wednesday, February 14, and lasts until Holy Saturday, March 29. Now is the time to embrace delicious and wholesome fish based dishes over the six Fridays of Lent. Being a mild fish, Tilapia is the ideal choice for those wishing to observe the season of Lent while still enjoying a healthy diet. 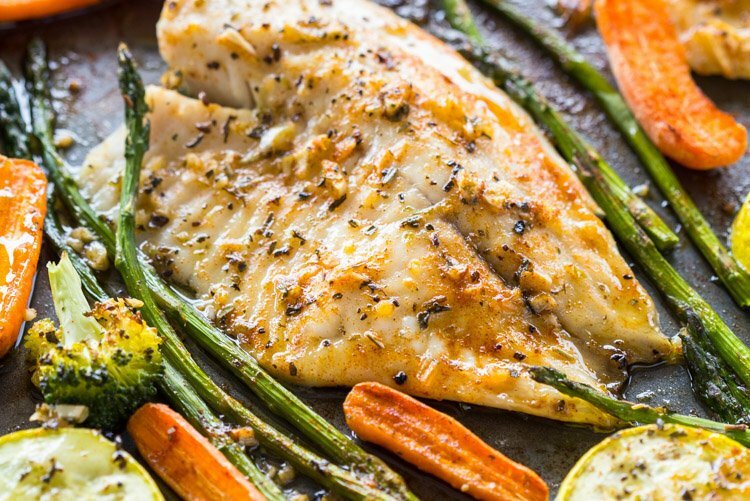 This recipe pairs Tilapia with a range of nutrient-rich vegetables, including carrots, broccoli, asparagus and zucchini. Plus, it is conveniently all cooked in one pan in just 20 minutes, saving you time on dishes. Bonus! Try the recipe: Healthy 1-Pan Tilapia and Veggies from Gimme Delicious. Here is a great Tilapia recipe that is low-carb and still packs a flavorful punch. Cook it with a side of veggies or add a side salad (light on the dressing, of course) and you’ll have 210-calorie, protein-rich meal ready in less than 20 minutes. Try the recipe: Parmesan Crusted Tilapia Fillets from Real Food by Dad. Just because Lent is a time of repentance and solemnity doesn’t mean you can’t also indulge in something wholly delicious. These pesto, red pepper and feta-stuffed Tilapia fillets are a wonderful treat for the end of your work week. Serve it with a healthy side salad and some steamed potatoes to keep this dish guilt free. 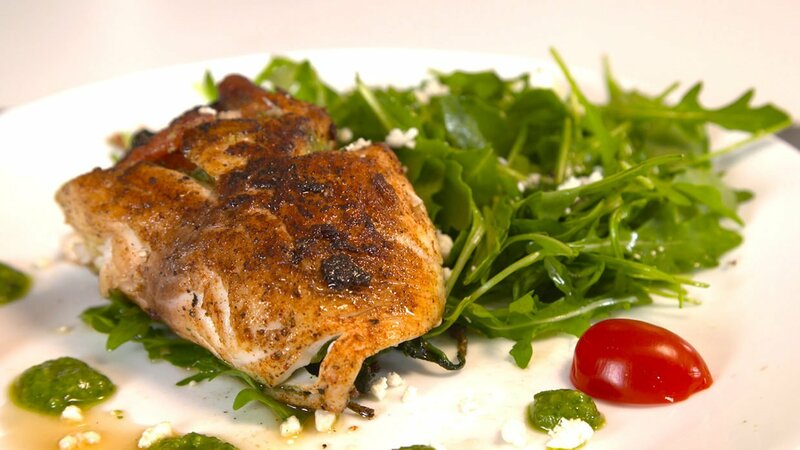 Try the recipe: Pesto, Red Pepper and Feta-Stuffed Tilapia from Regal Springs. If you’re looking for a great fish recipe that tastes like it’s fried, but isn’t, this is it. Seasoning your Tilapia with whole-wheat flour instead of the less healthy bleached white flour improves the taste and health benefits of your usual fish and chips batter. The dish has only 240 calories and leaves you a bit of extra beer to sip on while cooking, which means it’s sure to be a hit. Try the recipe: Beer-Battered Tilapia with Mango Salsa from Eating Well. 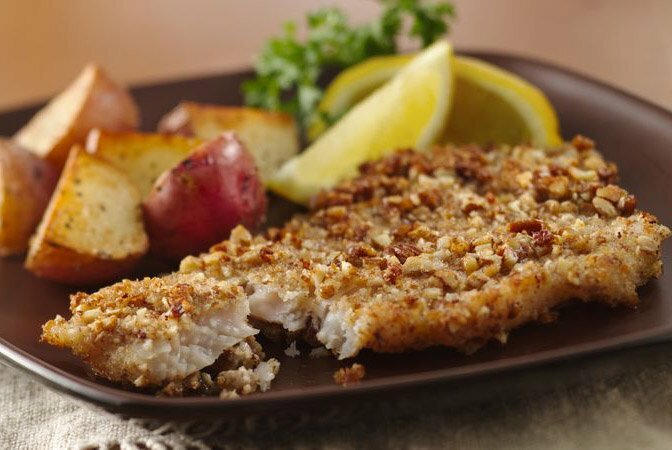 This recipe is a nice twist on the usual Tilapia with the addition of breadcrumbs and pecans. If you’re really in a rush or on the go at the end of the week, have no fear. The cook time is under 10 minutes and it’s easy to quickly mix together all the ingredients. Serve it with a side salad and some brown rice, and you’ve got a healthy meal ready in no time. 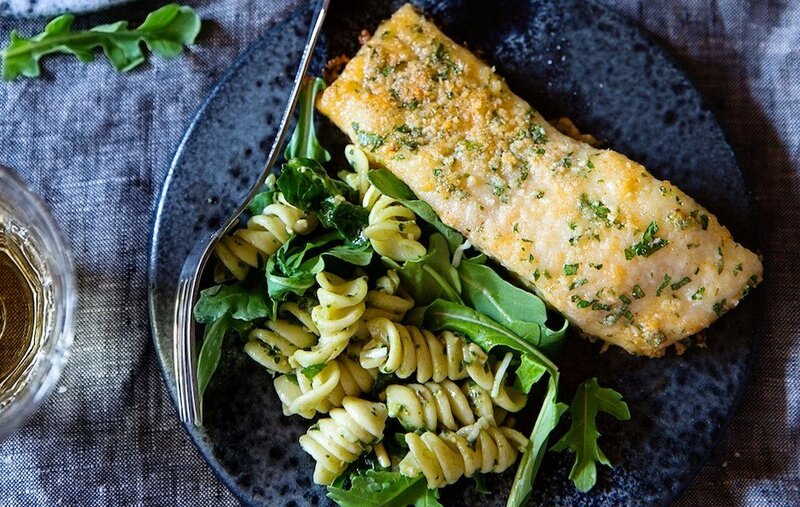 Try the recipe: Pecan-Crusted Tilapia from The Washington Post. Everyone loves tacos. This one is great for family dinners or when you have company over. Plus, prep time is only 30 minutes, so you won’t have to slave away in the kitchen all day. Pair the spicy Tilapia loins with some fresh avocado, pickled red onions, a refreshing orange salsa and a sprinkling of cilantro. Try the recipe: Blackened Tilapia Tacos from Regal Springs. With Lent nearly upon us, now is the time to get creative with how you incorporate more seafood into your diet. After all, there’s nothing to stop you from observing Lent and also enjoying a healthy and delicious meal. Try your hand at these six Tilapia recipes and you’re guaranteed to have the best of both worlds. Want to learn more about popular seafood that would be good to incorporate into your lent diet? Check out The Healthy Fish’s What Are America’s Favorite Seafood Species To Eat?